Large and ruffled pastel-pink blossoms, shade softer at edges. Chater's Appleblossom hollyhock begins to bloom in early to mid summer, produces impressive 5-7 ft. tall flower spikes. Cut stalks back hard after bloom, plants repeat flower in late summer and fall. Provide rich soil and regular water for best performance. 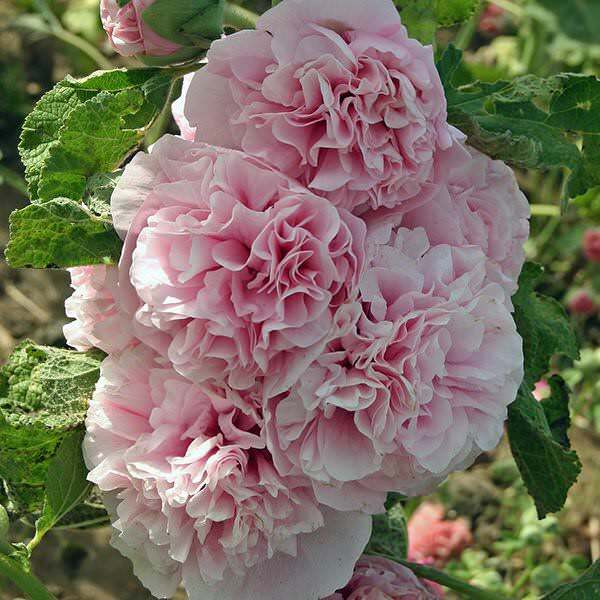 Chater's Appleblossom hollyhock is a biennial or short-lived perennial which is winter hardy to zone 3.